A perfect addition to your swing set, the trapeze offers all of the gymnastic fun of hanging with a high swinging seat. The height can be adjusted to suit older kids! An excellent addition to your swing set, the trapeze offers all of the gymnastic fun of hanging with the fun of having a high swinging seat. The handles are rounded, easier and comfortable for kids to hold and hang from. 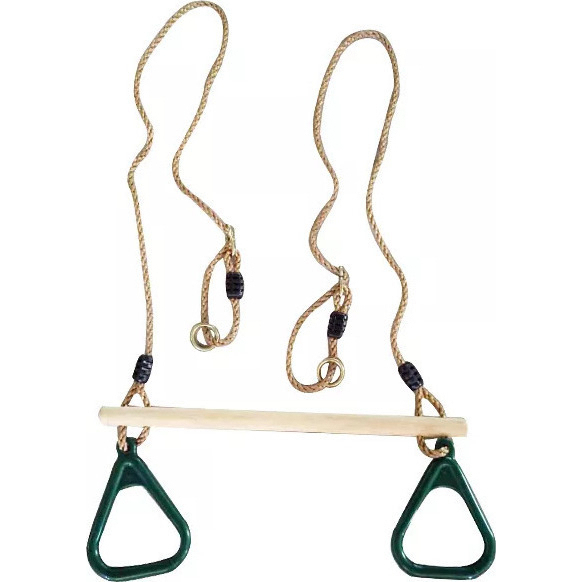 This Trapeze attachment can be attached to any Lifespan swing set, and comes with galvanised steel rings to hang with. Height can be adjusted to suit younger or older kids and wooden bar is 59cm long.